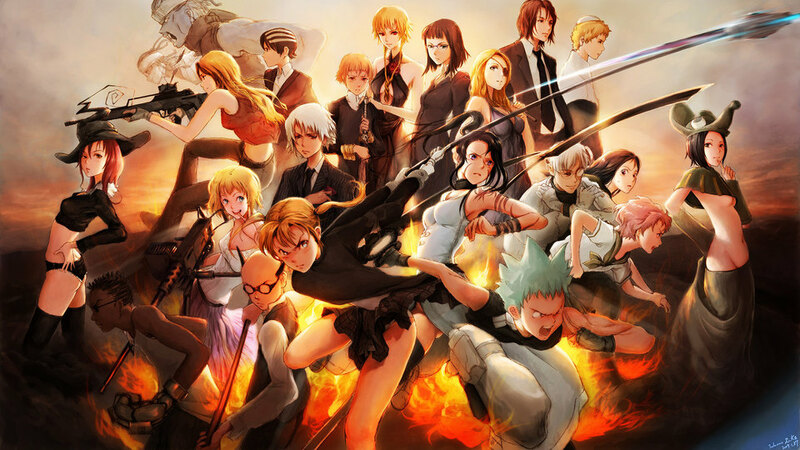 Set in the Shinigami technical school for weapon technicians, the series revolves around three pairs of two characters with each having a weapon technician ... More and a human weapon. They try to make the latter a "Death Scythe" and thus fit for use by the Shinigami. They must collect the souls of 99 evil humans and one witch to do this. 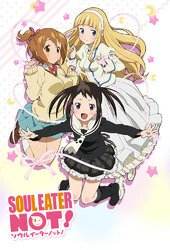 Note: There were two versions of Soul Eater. The first was a normal version which aired on Mondays and the second was a "Late Show" version which aired on Thursday nights. The "Late Show" version had some extra scenes added during eye-catches and before the next episode preview but the main part of the show didn`t have any differences from the normal version. 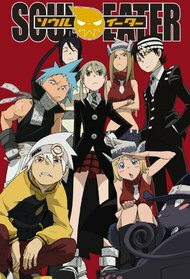 If it wasn't for the last 3rd being a bit messy and the ending being garbage, this would be my favorite shounen. Fun and very imaginative.